The Toronto Blue Jays have agreed to a one-year contract with veteran right-hander Matt Shoemaker, a source told The Canadian Press on Friday. 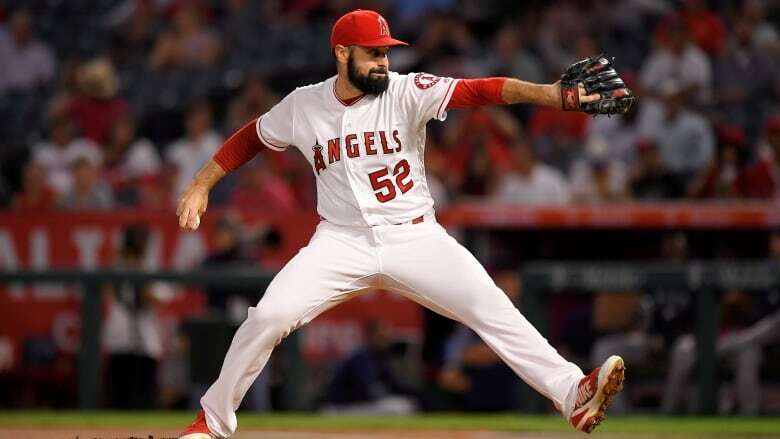 The Toronto Blue Jays agreed to terms on a one-year contract with veteran right-hander Matt Shoemaker on Friday. Shoemaker, who has had right forearm injury problems over the last two seasons, was 2-2 with a 4.94 earned-run average over seven starts with the Los Angeles Angels in 2018. He made 14 starts in 2017, posting a 6-3 mark and 4.52 ERA. Shoemaker, 32, made his debut with the Angels in 2013 and spent parts of six seasons with the team. His best year came in 2014 when he was 16-4 with a 3.04 ERA. The six-foot-two 225-pounder could give the Blue Jays some needed depth in the starting rotation, which will likely be anchored by Marcus Stroman and Aaron Sanchez.